Will justice ever be served for the Hawaii County farmers? It’s interesting that the activists’ groups like Earthjustice and the Center for Food Safety always claim that the agribusinesses are liars and bullies. I guess they forgot the rule that when you point fingers at others, 3 more point back at oneself. “We want honesty,” is their followers’ rallying cry. The problem is that these groups can’t even be honest and don’t recognize the bullying they do themselves when they attack Big Island farmers in the courtroom. Case in point is how CFS is ramping up its efforts with the Vandana Shiva blitz and garnering the attention of the media this past month. This group picks the most fraudulent of speakers to “educate” others, when in reality all she does is indoctrinate in ideology with very little evidence based information. She also is an extremist who supported Natural News’ Mike Adams’ call to murder scientists and journalists who supported biotechnology! It’s no wonder the local activists here do exactly the same thing in their commentaries but then are called the extremists of the movement. The Center for Food Safety isn’t even honest in what they tell the media with their interviews. Many news stations were reporting that they are Honolulu based last week. This group is nothing close to being locally based and is essentially a satellite office of their Washington, D.C. one which started up last year. There were no corrections being made to these stories either so many people think that this is a local grassroots movement. They are clearly here to work on their financial sustainability if anything. The politicians are also jumping on the CFS dishonesty train too. Senator Josh Green brought in activists to “educate” political leaders on the issue of pesticides. Forget the fact that there are millions of acres of GM crops grown in the Midwest and these same crop protection products have been used for 40 years with no documented evidence that it causes autism, activists’ science is what our politicians prefer to use to make laws here. On top of that, I just read the other week in an interview with Rep. Chris Lee that what they are attempting to enact in Hawaii will not affect small farmers regarding the pesticide issue. He’s been wined and dined and apparently repeating the rhetoric of CFS. Today, the Senate ag chair, Russell Ruderman, too is lobbying for his activists’s friends to defend Hawaii County. Ruderman has his nose stuck in anti-Monsanto conspiracy theories and no sense of fairness or accountability and chooses to meddle in a level of government that is not in his scope. These groups and the politicians they use don’t care who they attack seem to enjoy catering to the factless fear feast. It’s no surprise that these groups always say one thing and do another. Center for Food Safety expressed to politicians that they aren’t going after the small farmers. Earthjustice attorney, Paul Achitoff, also stated that he fights for farming communities but is fighting against it now. Turns out that it’s not true because they are joining with the San Francisco based Earthjustice to appeal Judge Kurren’s ruling on the Big Island GMO ban. The agribusinesses aren’t affected by this ordinance in Hawaii county because they have no operations there at all. It’s the small papaya farmers and other local farmers who are having to defend their livelihoods! Of course they are going to state that Monsanto mantra against the organization who is helping to defend these farmers. To fuel the fire, CFS loves to smother it’s news posts with the same old corporate hate. Instead of actually naming the true plaintiffs in the Big Island case, they title their post with, “Chemical Companies Undermine the Will of the People of Hawaii County.” There is no mention of the real local farm groups involved in the case at all and it closes the post with the same chemophobic messages used to take advantage of people’s ignorance on agriculture. There are no links or documentation outlining any of the pertinent filings or details of the case also. It’s the typical cherry picking of information that these groups thrive on because they know most activists believe without questioning. A true skeptic would want to see the filings and other court or county documents also but these groups condemn any questioning of their motives or facts for that matter. Questioning this movement will get you shunned and isn’t tolerated. Hawaii is definitely a great place for Earthjustice and the Center for Food Safety to establish due to the many industries available for them to sue and pad their coffers and a host of people that they can use as pawns. These groups are so willing to use taxpayer dollars and farmers’ time play this conspiracy laden game with no consideration of how scare county resources really are. It’s like a game with no forethought as to the real consequences and impacts. Since when has it been a practice for activists to be held to a higher standard and code of ethics to be able to defend the county? These people show that they essentially have no ethics but can be trusted to do the right thing? With 3 bad bills passed due to the influence of these groups, it’s pretty sad that Hawaii County wants to use them to defend such a bad law. It’s pretty shameful that leaders can even consider using these people to represent them. Then again, if these groups proceed with an appeal and follow suit with their bad track record, it many really blow up in their faces. Many of our laws are made by case law and a victory for the farmers in this case will set a huge precedent across the nation. A loss to the activists will only further strengthen the farmers’ rights to technology and even uphold scientists access to use biotech research. This would apply across the nation because of the precedent it sets for other lawsuits. Heck, it may even jeopardize their prior laws made to ban GM coffee and taro! What will they cry about that? It’s sad that Hawaii County can actually consider using activists’ lawyer in these cases that shouldn’t have even made it this far. Politicians have a responsibility to the public to use facts and evidence to make fair and just laws. They all took an oath to act as such. 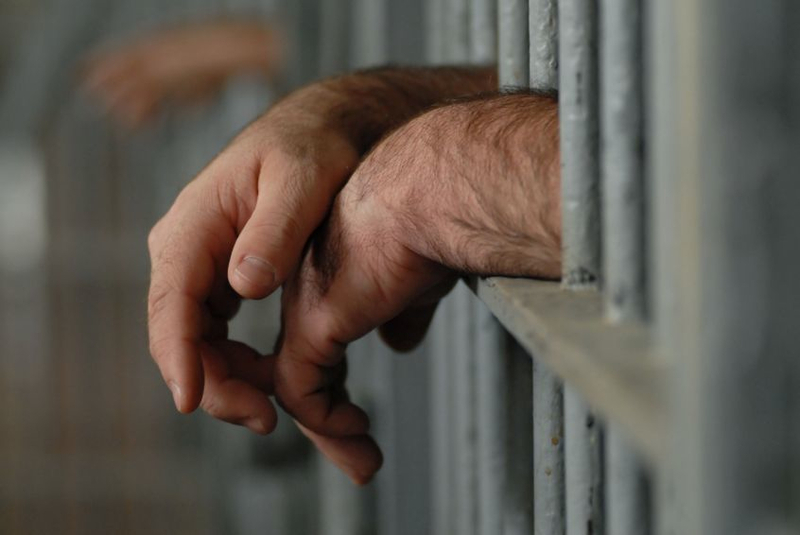 When bad laws are made because of dishonest efforts, resources are wasted and everyone loses. Have we become any closer to reaching those goals of food security and sustainability when it’s taken to the courtroom? How much do we have to lose to realize it’s time to start listening to rational stakeholders who stand with facts? CFS Andrew Kimbrell’s disturbing anti-technology anti-science essay, Cold Evil. 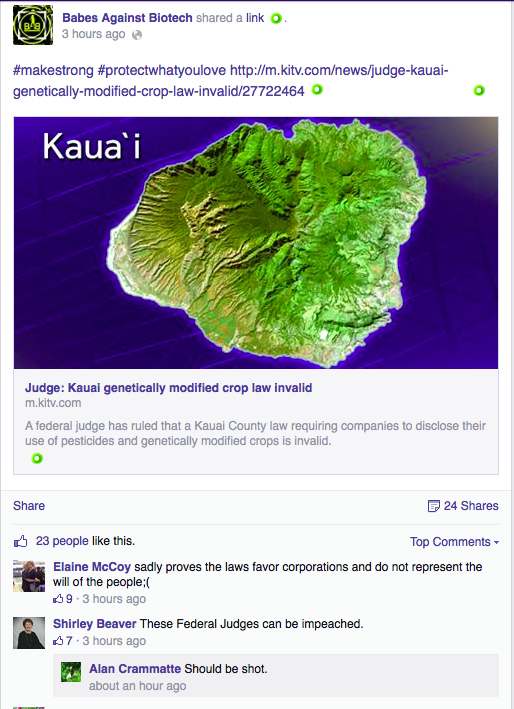 It’s breaking news that the Kauai anti-GMO law has been invalidated by Judge Kurren today. The law is pre-empted by the state law and cannot be enforced at the county level. Joan Conrow and Richard Ha both did great blogs today on the news. As I followed some of the news links posted on the various Facebook pages from Hawaii News Now, Civil Beat, KITV4, and KHON2, the commentaries are so disheartening once again. I don’t consider this ruling a win in any case. The damage has been done towards Hawaii agriculture, farmers, scientists, and our communities. Our communities are not healed by this ruling that was started with a huge disinformation campaign by mainland based activists. We are still divided and people are still not well informed about the issues revolving around agriculture here. There has been so much fear mongering and misinformation that the public has been made to be so afraid of things they just don’t understand. Bringing up they issue of biotechnology or even mentioning genetics or basic science turns people off as they have been indoctrinated to the belief that it’s “propaganda.” How can we move forward when the largest and loudest voices are the least informed and still trying to dictate law? These are the same people who don’t understand how laws are made with to begin with or how the legal system works and now are asking for the judge to be impeached or even harmed?! Screenshot from the Babes Against Biotech Facebook page. Note the disturbing commentary below. These activists aren’t about working together towards a common goal unfortunately. Just last week at a farmer’s rally on the Big Island, a long time GMO Free activist named Courtney Larson, was arrested and is being charged for disorderly conduct and other various charges. When farmers are trying to figure out how to move forward after this devastation, and are at their most vulnerable state, the activists show their true colors and it isn’t pretty or full of aloha. Is that what we need in Hawaii at a time when we have so many other issues to deal with and work through? The activists politicians are also another group of people who are feeding this unaloha spirit in our islands. From the likes of Russell Ruderman and his fear mongering GMO articles, to Mike Gabbard sending me links to the debunked Seralini study, to Kaniela Ing and his associations with “home rule” and the SHAKA Movement, to Gary Hooser and his alliances with environmental activists, our leadership is failing us as a state. I’ve always been taught as a leader to check out your sources and do your research about the issue to base your decisions up and that you must use facts and evidence to move forward, not emotions or trends of the moment. The leaders’ jobs are to keep the community together and cohesive so that it can operate properly. When leaders like these choose to side with the loudest of the bunch but refuse to use facts or come to the table to discuss issues, it does no one any favors. They should also be doing the work of educating others with good information so fear doesn’t dominate the conversations. It’s pretty clear poor leadership has done a lot of damage in these recent years. Judge Kurren has made his ruling and that has set the law today. Do we choose to accept this decision or continue fighting and completely wasting our time and energy on this issue that further divides the communities? Or do we move on and work on the actual problems that we face like our high poverty rate, education, traffic, the increasing elderly population, homelessness, food security, and so on? I hope that we move forward and actually set out to do something meaningful for the people in our communities and use our resources wisely to make it happen. That’s my hope and expectation! I spoke with you the other night at the Kaneohe Neighborhood Board meeting and would like to take you up on the offer as far as what kind of legislation I’d like to see regarding agriculture in Hawaii. 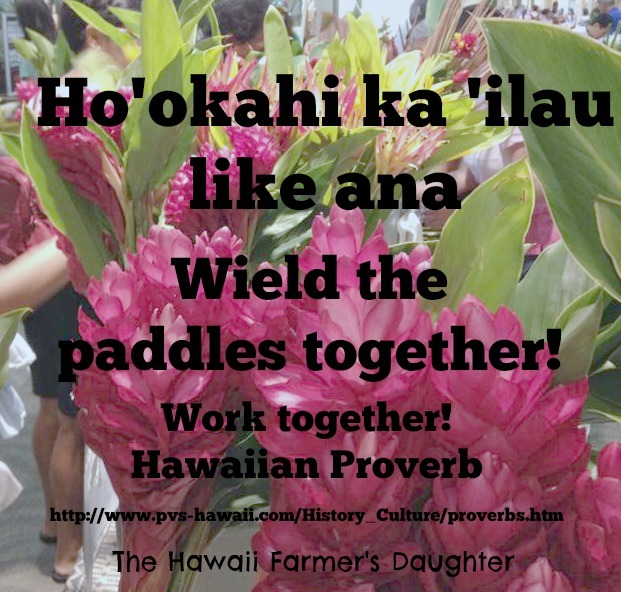 As a daughter of a long time farmer and farming family for nearly 4 decades, I really think that as a leader, Hawaii needs to consider the bigger picture. Your statement to me that we need to change the meaning of agriculture is very disturbing because for Hawaii. It is not only food that needs to be grown here. We have many other thriving industries here from seeds to nursery plants and other non-food crops that would not fall under your umbrella definition. If we want to grow more food, just going after the seed industry isn’t going to solve the problem. As a leader, I would hope that you could see that. That is a very linear way of looking at the problem which ultimately never solves anything. If the goal is to grow more food in Hawaii, we have to look at all the issues that affect why we aren’t more self sufficient. Look at the whole system to address the best way to reach the intended goal. When you look at those issues like energy costs, labor, supplies, land issues, and the other factors, you can have a better view of a more holistic plan of solving this issue. The problem has to be solved systemically. Your simple solution of changing the meaning of agriculture to growing of food and asking for label for biotech food does nothing to make food more likely to be grown in Hawaii. It places a line between farmers and that is not what is needed. As a leader for the agriculture committee, how can you best serve the farmers, not just a certain faction of them but all farmers? Does siding with one kind of farmer do anyone any favors? No, it doesn’t. You as a leader need to band together all farmers to solve these problems. That is the responsible thing to do. Where does the research and evidence lead to? That should be your guide through all of this. I must also note that your broad statement that there is no regulation about GMOs is patently false. If that were the case, why is it taking such a long time to get through the process to be approved? I’d really appreciate it if you’d be more honest when talking about the issues. You know darn well that there is many tests that have to be presented before anything is approved by the FDA, EPA, and USDA. You may not be happy with the process, but don’t state outright lies about the issue. I’m counting on you, as well as many the younger generation of farmers, who are hesitant on whether or not to continue family farms in this current environment. They need to know if you are really going to be a proponent of agriculture and education and plan to secure the future of ag technologies in Hawaii since you stated that there will be an education campaign. It may not make you popular to your activists but do the responsible thing for the real people who work and support agriculture in Hawaii. Although the anti-GMO factions may be celebrating today, those who are versed in the sciences and technology know that it is a very disappointing day. Through sneaky maneuvering and dirty politics, the ignorant lawmakers strong armed their way to pass a bill doomed to fail. The only way that they could get it to pass was to break their word to vote with the 6 members and fill it with the 7th one. Call it what you want, but it just shows the lack of integrity by Hooser, Bynum, Yukimura, Furfaro, and the latest add, Chock. The writing is on the wall when many of these leaders are associated with the GMO Free groups and anti-ag groups like Earthjustice and Center for Food Safety. If these leaders are so honestly wanting for the public to be safe, why not do this kind of legislation across the board instead of pinpointing at a single industry? If the pesticide issue is truly a real issue that you are worried about, why not cover the disclosure across the board to protect everyone? Why isn’t the county going to be a part of this disclosure since they use the most to begin with? Why aren’t all pesticide users from homeowners to pest control companies to hotels and golf courses not covered but such a law if the county is out to protect people? This law reeks of corruption and underhanded motives operating that is the very thing that these activist complain about yet openly show it front and center. What makes this day very sad is that we have these so called community leaders, who have been oblivious or just choose to ignore the kind of environment that the agricultural industry is enduring here. These leaders “listen to the people” and ignore the evidence. Evidence and data mean nothing here in our state and hearsay and anecdotes rule. That is really a blow to the scientific method and evidence base that has been built for over 2 decades. While there are MMA fighters, bikini clad art majors, bus drivers, social science PhD candidates, and other followers cheering today, the people who studied crop sciences, plant pathology, cell molecular biology, agronomists, plant breeders, and others with the right background to make the statements about the issue have been completely ignored today. The researchers and other scientists who are a looking at ways to solve the world’s problems and their work has been silenced by an overwhelming majority of naysayers, who have no clue about the direction of this evolving technology. Today was a win for ignorance and it isn’t going to move Hawaii anywhere other than to keep people in the dark. Apparently, that is what the politicians like Hooser, Bynum, Yukimura, Furfaro, and Chock prefer our future to be like. That is just plain old irresponsible and they don’t even know it.